I am feeling a whole lot better this morning, guess my immune system overwhelmed that little virus – whichever one it was – and now I am back in complete working order. It’s an eye opener though to be reading about West Nile viruses, the Ebola and Influenza pandemic and wake up with all the symptoms of the illnesses. I never thought I had any of them, but it sure gives you a moment to pause before you throw up. Anyway, back up and running, and apologies to anybody else I may have infected yesterday. 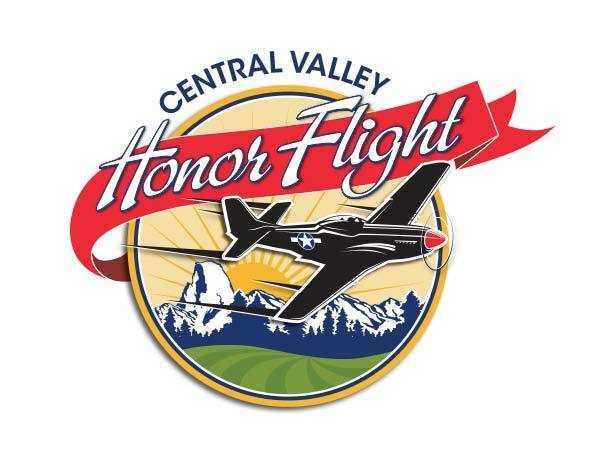 A week from today I will be in Washington, D.C. with the Central Valley Honor Flight. This extra-special trip leaves from the former Castle Air Base early Monday morning with some 75 WWII Vets and one very honored to have been invited Cold War Veteran as a media representative. I should have plenty of time to talk with Vets, see the sights and see some things that didn’t exist the last time I was in DC, including the Navy Memorial which is on the itinerary. We will also attend a Changing of the Guard Ceremony at Arlington, which I have been to, it never seen the ceremony. My costs are covered, but there is still opportunity for you to donate to help send another WWII Veteran on an Honor Flight. Please go to CENTRAL VALLEY HONOR FLIGHT and donate. We’ve asked every listener to give just $1, but feel free to go above and beyond the call of duty. By the way, you can follow me on FACEBOOK and TWITTER (@davebowman1360) for live update’s and I will check in with the show early each afternoon to let you know what’s going on with the Honor Flight Folks. After all the hullaballoo and flop and twitch, the City of Modesto HAS HIRED A NEW CITY MANGER, the same guy they already hired as the temp. On a unanimous vote, no less, after he turned out to be the only finalist for the job. A Stockton City Councilman is in trouble for a DUI. HIS BAC WAS 0.137 WHEN HE WAS STOPPED ON HWY-99, a road I travel often and frankly it pisses me off that an elected representative is stupid enough to get behind the wheel drunk. I don’t care about what he may r may not have done as a Councilman – he fails the test of trust the second he drinks and drives. He is NOT QUALIFIED to be in charge of others and should resign immediately. He won’t of course, because he “made a mistake,” or “takes responsibility,” or whatever trite and meaningless phrase he can come up with. He’s lucky, at least he didn’t kill somebody, as HAPPENED IN MODESTO ON SUNDAY. But ask yourself how many times you drive that route, and did you know that this idiot drunk that you pay taxes for his salary was DUI on it? I have to honest here, any elected official popped for DUI who smiles like that for his booking photo deserves a thumping at the polls. Frankly, if you drink and drive, you should not be in an elected seat, period. Some good news after the dog attack, the 77 YEAR OLD MOTHER OF THE VICTIM IS IMPROVING. That seemed highly unlikely a few days ago, but she is pulling through. Sadly, what she will face if she recovers will be heartbreaking, as there will most likely be no one held accountable for her sons brave death. The GOP has stepped up to support Jack Mobley in his run (again) against Adam Gray for State Assembly. This is another of the Prop 14 oddities in that Mobley launched a (very) late write in campaign in the Primary, and since Gray was “unopposed,” Mobley literally needed 1 vote (his own?) to get into the General election. Interesting strategy that I think that we may see more and more of in the coming years. At any rate, the GOP has poured some $356,000 into the Mobley campaign just in October. Clearly they think that they have something going here and they can’t be happy about GOP Stalwarts jumping ship and endorsing Gray. If nothing else, the people who watch these things have moved AD21 from “Democrat” to “Leans Democrat,” based n the latest registration numbers for Mail in Ballots received so far.